Has it seriously been a month already? Wait… it is already MID-APRIL?! You know the drill by now: you send questions, we answer what we are able to answer. 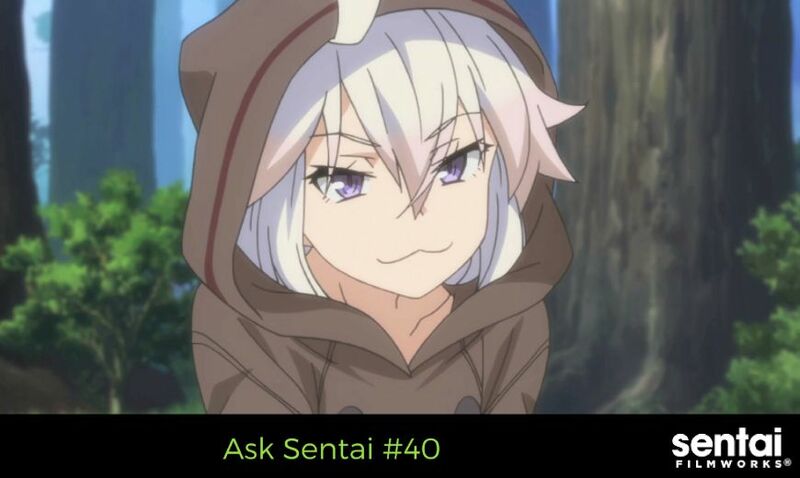 Per the rules, we cannot answer questions about unannounced dubs or licenses, but with those out of the way, let’s get to this month’s Ask Sentai. I am looking forward to the Himōto! Umaru-chan dub. Now I hear in Japan that its getting a second season this fall. Will you license and dub the second season as well? What is the status on the Legend of the Galactic Heroes release? The Ask Sentai section hasn't mentioned the title since 2015 and it's making me worried. Still being carefully, meticulously worked on. They talk SO MUCH. And it all had to be translated and localized. We're not going to forget a large, high profile project like that, but we also can't announce a date and then keep changing it, ya know? Will you be able to include the OST in more releases in the future? Having the soundtrack is a big draw for No Game No Life and School Live. We can certainly try. Unfortunately, for some titles, it just isn't possible for various reasons. With you guys putting more of your shows on Anime Strike, does this mean you're not gonna put anymore shows on Hulu? Every show is dealt with on a case-by-case/show-by-show basis. Just because a show goes to one platform for a certain period of time doesn't mean that every show will follow the pattern. You should definitely release collector editions of the Chunibyo & Beyond The Boundary movies. With stuff like postcards and posters and a Dark Flame Master figure and a Rikka plushie and a Mirai figure and a... you get the idea right? We got the idea, but that's a pretty tall order! Fitting a Rikka plushie and a Mirai figure into a chipboard box? Thanks for letting us know that's what you want, but no promises! We're trying to get these movies out to you as soon as possible. Hey will sword oratoria stream on crunchyroll or will it only stream on anime strike? At this time, Sword Oratoria has been announced as an Anime Strike exclusive in the US. When is herlock six coming out for perorder Who do I write to for permission to show one or two of your titles at a con? Not familiar with the title you mentioned, as "Herlock Six" is not our database. Almost all the #thedubsarecoming titles have been announced, when can we expect some dubs from anime from 2016? Hmmmm... considering how well the element of surprise worked the FIRST time we released #thedubsarecoming, we think we won't answer this in favor of keeping it a surprise for the right time. Ugh...Food Wars is going to be the last "The Dubs Are Coming" dub, isn't it? By process of elimination, yes. And Ushio & Tora. Have you guys started making your limited sets more limited? I love your Premium Box Sets but with so many sales happening the last few months I find it hard not to wait a few months for a price drop. Limited means limited: a set quantity. Once they gone, they GONE. The box set for Love, Chunibyo, & Other Delusions sold out about last year; Persona 4 the Animation is pretty much sold out, and we're thinking most of the No Game, No Life's will be gone by the end of this year too. We can't disclose the exact quantity of premium box sets created per title, but we only do one run. When they run out is up to the market.